While maple syrup is considered the first crop of the season, ramps (wild leeks) could be thought of as the second. 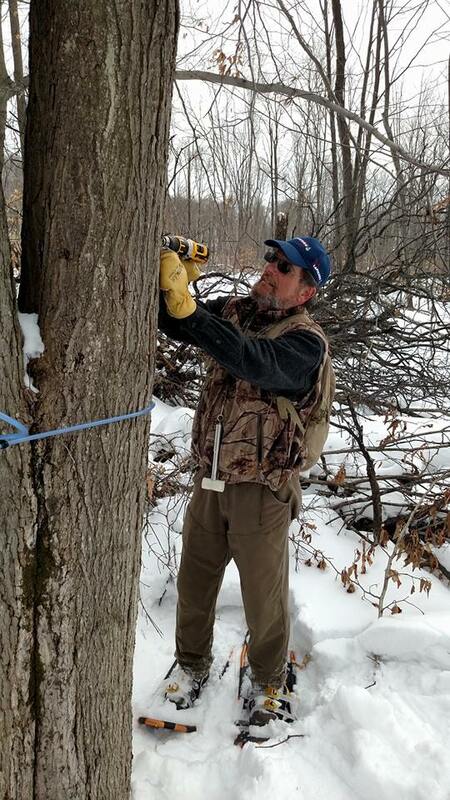 Maple syrup signals the end of winter and ramp season is a sure sign that spring has arrived! 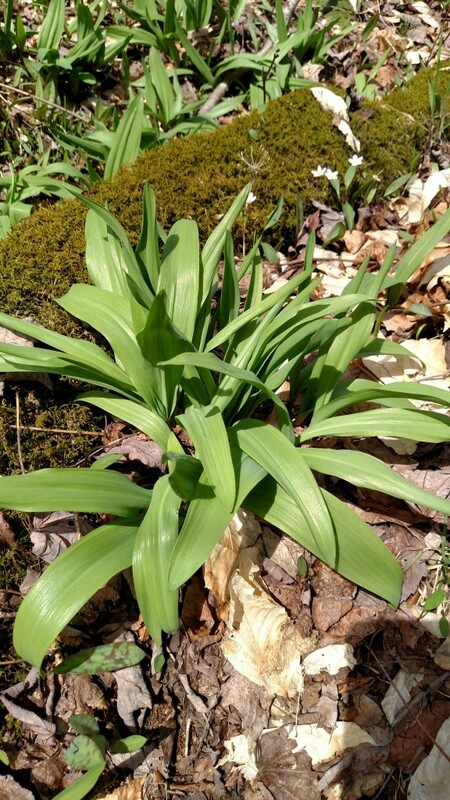 Ramps (shown in photo below) are native to North America and can be found growing wild in the forest in cool, shady areas with damp, rich soil high in organic matter. While there has been a growing interest amongst consumers, chefs and forest landowners in harvesting and consuming ramps, it is important to remember to dig ramps conservatively, as they will not come back if you harvest all of the ramps in a particular area. Be sure to leave plenty for Mother Nature, so that you can enjoy ramps for many years to come. Many folks who enjoy digging ramps in the spring also enjoy maple syrup. This recipe brings the two together for a surprisingly enjoyable dish. ~In a large skillet, heat the oil over medium heat, add the ramps and turn down to simmer. Add the maple syrup and balsamic vinegar and allow to simmer over low heat for about 30 minutes until thick and caramel like. ~Remove from heat when all liquid is absorbed and ramps are creamy and tender. ~Heat olive oil and sauté ramps and garlic. ~After 3 minutes, add maple syrup and greens, and sauté quickly. Then, add stock or water. ~When greens are very soft, add milk, salt and pepper. If using an immersion blender, place into soup pot and puree until very creamy and green. Otherwise, remove from heat and puree in small batches in a food processor or blender. Be sure to use both greens and liquid in each batch, so it does not spill out the bottom. Return to pot and heat through. ~Garnish with a generous helping of caramelized ramps. Yeany’s Maple Syrup and other maple products can be found at Yeany’s location in Marienville; Leeper Market; Haller’s Store in Tionesta; Sara Jane’s Deli in Fryburg; and Hirsch’s Meats in Kossuth. Pure maple syrup is slightly sweeter than cane sugar. It contains 62 calories per tablespoon as opposed to 54 calories per tablespoon for sugar. But – you use less maple syrup. To use maple syrup in cooking: substitute 3/4 cup of syrup for each cup of sugar and reduce the liquid in the recipe by 3 tablespoons. When using Maple Syrup to replace granulated white sugar, first make sure that using the liquid maple syrup will not hurt the recipe. There is roughly the same amount of sugar in a cup of maple syrup as there is in a cup of granulated white sugar. Using the cup of maple syrup in place of the white sugar adds extra 3.7 ounces (1/3 to 1/2 cup) of liquid to the recipe. To balance the liquid in the recipe, you need to reduce other liquids in the recipe, typically water or milk, by the same amount, 1/3 to ½ cup, for each cup of sugar replaced. 1 cup packed brown sugar = 1 cup plus 1 Tbsp maple syrup. Reduce other liquids in the recipe by just less than ½ cup. Maple Sugar can be substituted for granulated sugar, cup for cup. Maple Sugar can also be used in place of brown sugar. I increase the maple sugar by ¼ cup more than what the recipe calls for in packed brown sugar. 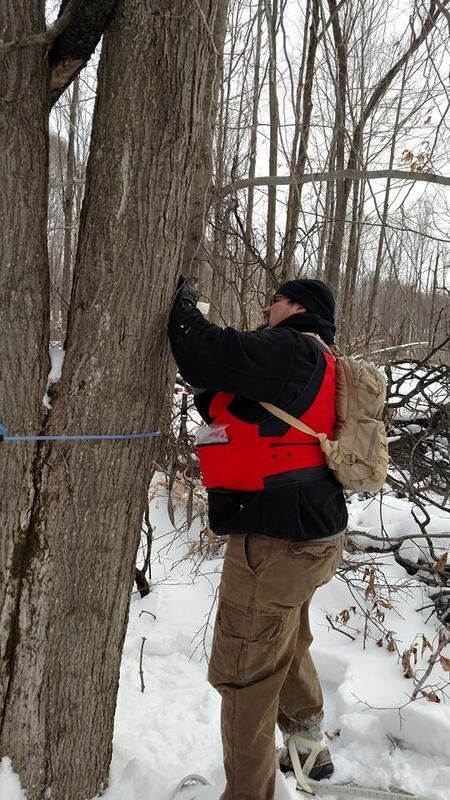 Yeany’s Maple is a 3,000 tap operation in Forest County, producing approximately 1,000 gallons of maple syrup each year. For more information on Yeany’s Maple Syrup, visit https://www.facebook.com/pages/Yeanys-Maple-Syrup/161532047254784.